Moffat County High School’s Cody Nelson looks to secure back points against second-round opponent Cody Clawson of Paonia. Nelson won the match and went on to finish sixth at the Warrior Classic in Grand Junction. Grand Junction — It might take a couple of days, but Charlie Griffiths and Cody Nelson will be happy they took home medals from the Warrior Classic. On Saturday night, they weren’t too excited because they wanted medals of a different color. Both Moffat County seniors went into the prestigious tournament with the goal to win. Instead, Nelson finished sixth and Griffiths finished fourth. Both wrestlers lost their medal round matches by one point in the final seconds. They shared similar sentiments after their tough losses. “I need to work harder every day so I can get that point,” Nelson said. “I need to run extra and push harder,” Griffiths said. Nelson lost two matches by two points and Griffiths had two losses by deficits of three points and one point. Coach Roman Gutierrez wasn’t surprised that his senior leaders weren’t satisfied with their efforts. At the same time, he wanted them to appreciate the accomplishment. What’s the big deal about medaling at the Warrior Classic? It’s a 32-team tournament with teams from five states. Most brackets consist of multiple state champions and typically each bracket is tougher than a state bracket. Gutierrez said that on a different week, Griffiths may have found a way to get his title. It might not be good news to the underclassmen on the team, because the seniors are inspired to step up the work when they get back from Christmas break. The beginning of January is infamous for tough practices. From the sound of it, Nelson and Griffiths are inspired to work hard. Senior Ben Winslow will be leading in the practice room as well. He finished one match short of getting into the medal round. 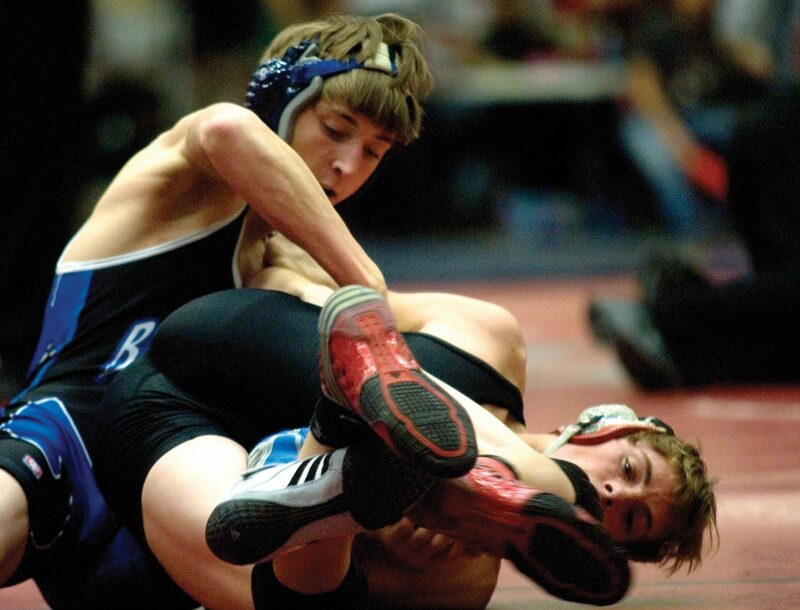 Freshman Braeden Peterson grabbed two victories in his first Warrior Classic, and finished the tournament 2-2. Sophomores Dru Nielson and Garrett Stewart didn’t make it into Saturday’s round, but Stewart did pick up a win at his first Warrior Classic. Gutierrez said he expects his entire team to respond well and work hard in January.